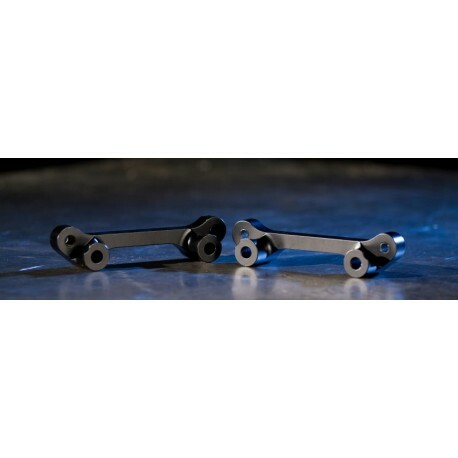 2-pot rear brake caliper conversion brackets for 2008 and newer Impreza, WRX and STi. Need to run smaller brakes on your 08+ STi to accomodate 15" wheels and gravel tires but don't want to sacrifice braking performance, maybe you've converted your WRX or Impreza into a stage rally car and want to upgrade the brakes while still being able to fit 15" wheels and rally tires or you just want the ability to run 15" wheels for the increased tire sidewall. 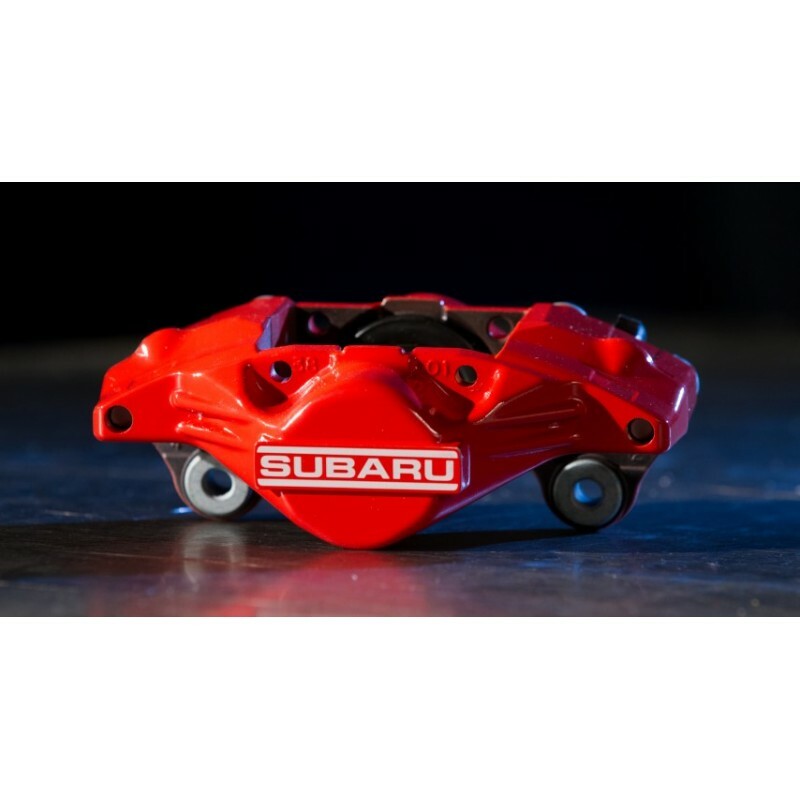 This pair of specially made brackets that will allow you to bolt the 2006-2007 WRX Red 2-pot rear brake calipers to your 2008 and newer Impreza, WRX or STi. 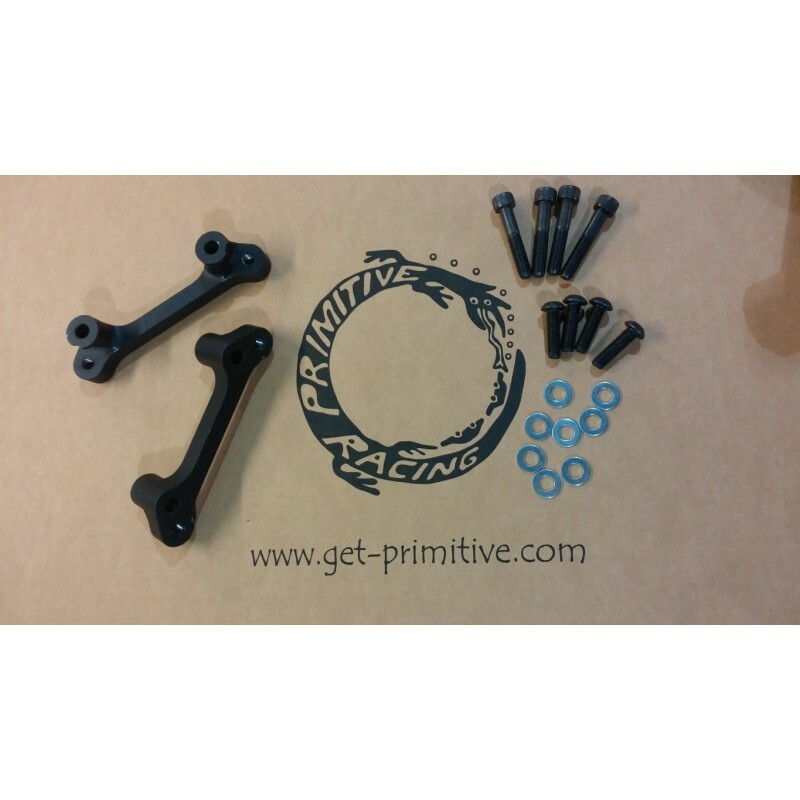 The bracket comes with all the hardware that is needed to attach the caliper to your car, you will need different brake rotors that are available seperatley. 2-pot rear calipers won't fit with a normal 15" wheel you'll need a "motorsport" wheels like our Team Dynamics Pro Rally. It is perfect for some that just needs the adapter bracket and can source calipers and pads on their own. Please enter you exact year/model/engine/transmission/bolt pattern in the comments field during checkout.